Hello! 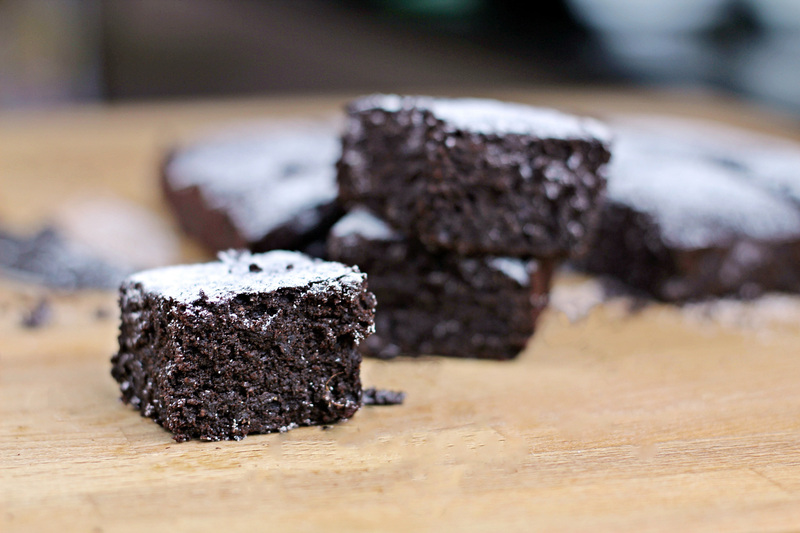 Today, I have a great brownie recipe for you guys! It is my Low Fat, Low in Sugar Whole Wheat Brownie! It’s so delish with 40% less the calories and 60% (!) 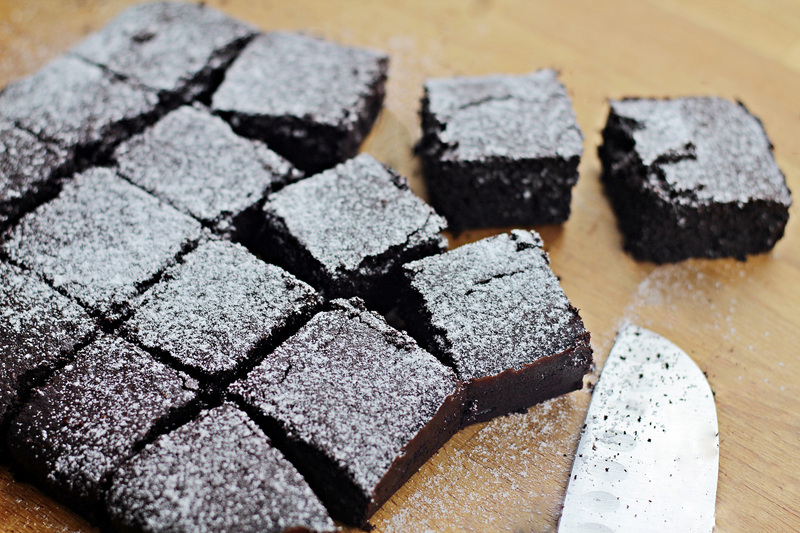 lesser in sugar than typical brownie! But it’s just that good. What’s my secret? Stevia and yogurt! 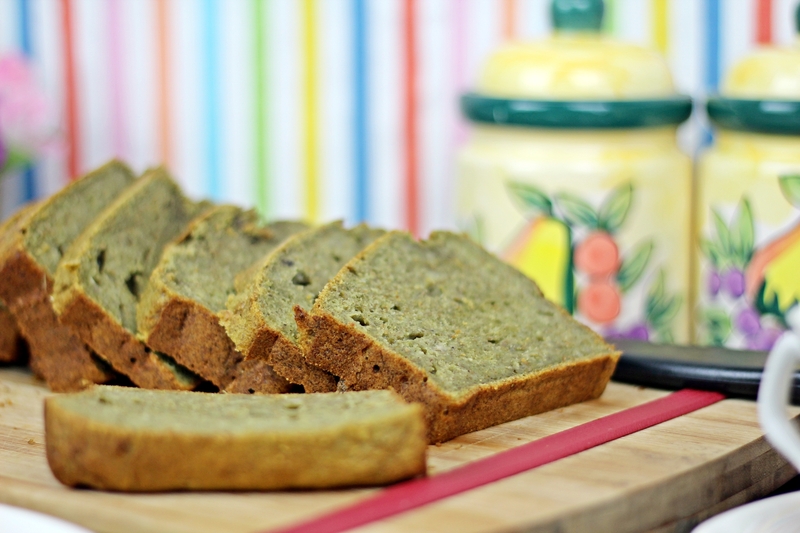 If you have been following me, I have recently came up a Sugar-Free Banana Bread recipe using only Stevia. It’s great. Do check it out! Some may not get used to the sweetness of Stevia as the taste can vary a little from cane sugar. So in this recipe I have used a combination of dark brown sugar and stevia. It taste wonderfully sweet with the strong almost-like caramel flavor from the dark brown sugar and the extra kick of sweetness from Stevia. If you don’t know what is Stevia, it is a natural herb that is really sweet but has no effect on blood sugar level and has zero calories. So as to make things as natural as possible, I like to use grounded dried Stevia leaves for baking. As for yogurt, it can be used to replace butter. 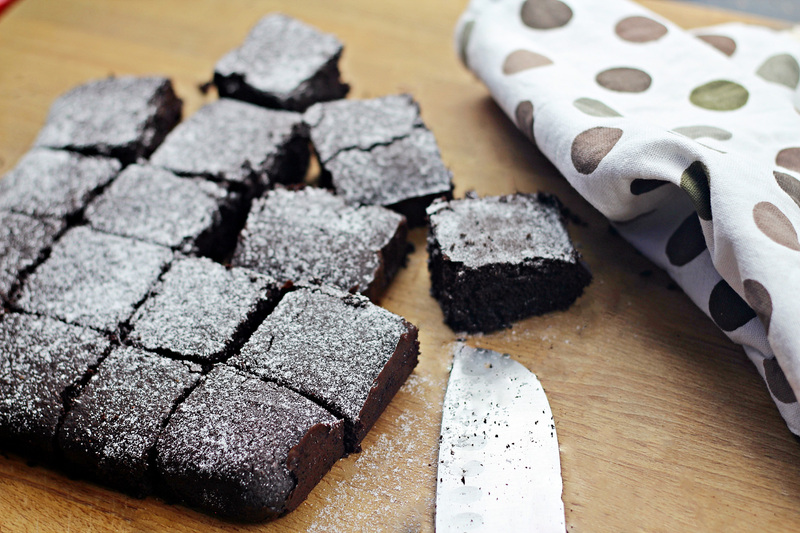 You can’t omit butter for brownie but you can definitely cut back on it. 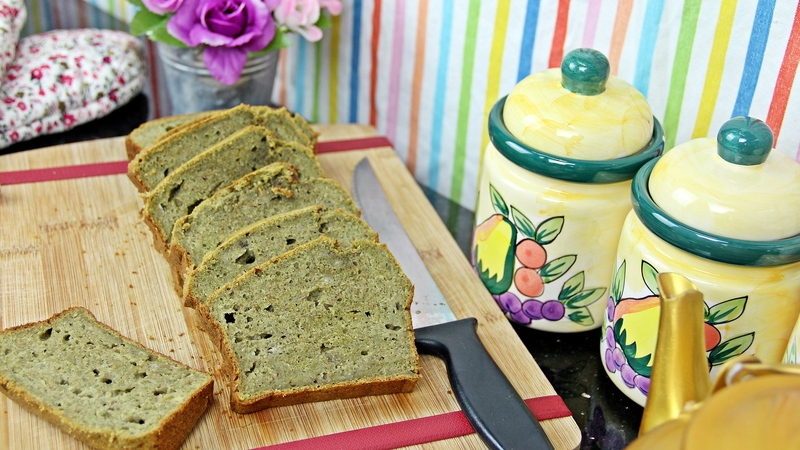 I have used yogurt for many recipes in place of a portion of butter and it works wonderfully. Yogurt help my cakes to remain moist and tender. Do remember to get Fat-Free, Sugar-Free (Sweetener free) yogurt! I like to use set yogurt as it has a really creamy texture but you can use Greek yogurt if you can’t find it. Preheat oven to 170 C or 150C fan-forced. Cream together softened butter, dark brown sugar and dried stevia together until light and fluffy. Add in eggs, one at a time. Drizzle in vanilla extract. Stir in cocoa powder. Mix until combined. Fold in whole wheat flour, baking soda and salt. Mix until creamy and transfer into a 7-inch square pan lined with parchment paper. Bake it in the oven for 25 to 30 minutes. Let it cool completely. 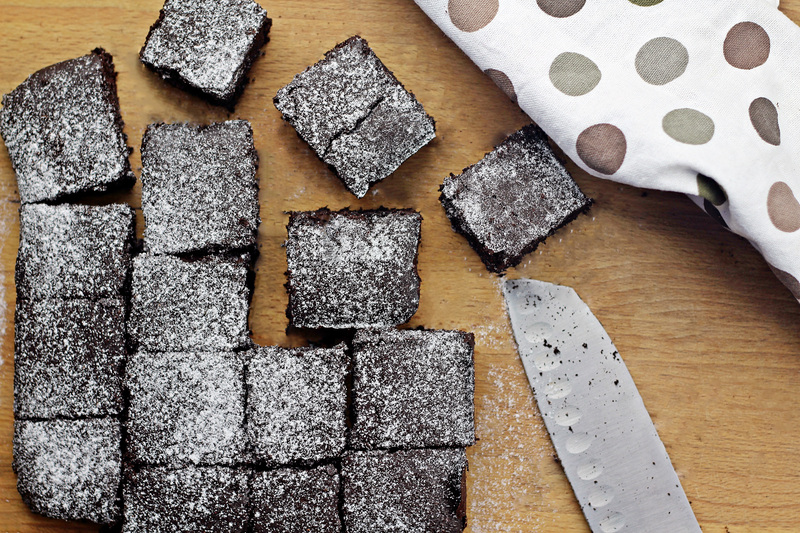 Cut into bite-sized pieces and serve with a dusting of icing sugar. 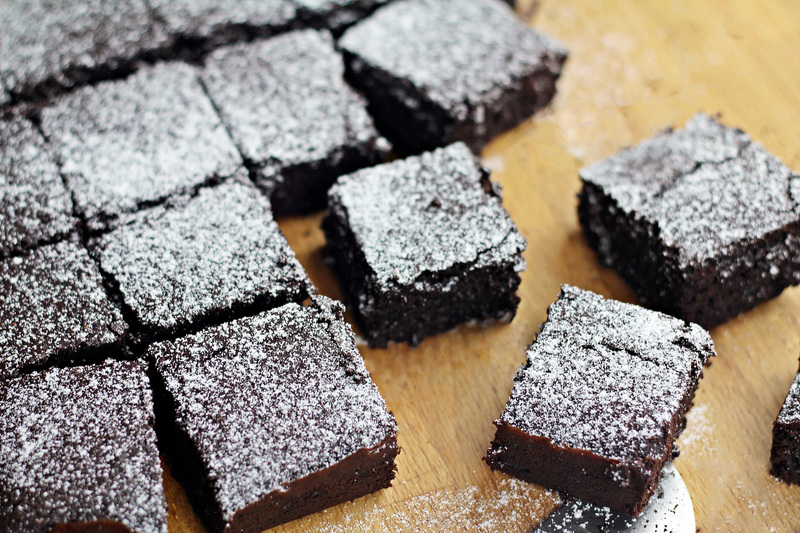 This entry was posted in All Recipes, Sweet Treats and tagged brownie, cocoa, low fat brownie recipes, Low-Fat, Low-Sugar, stevia on May 12, 2015 by Zong Han Chua. Hello guys! 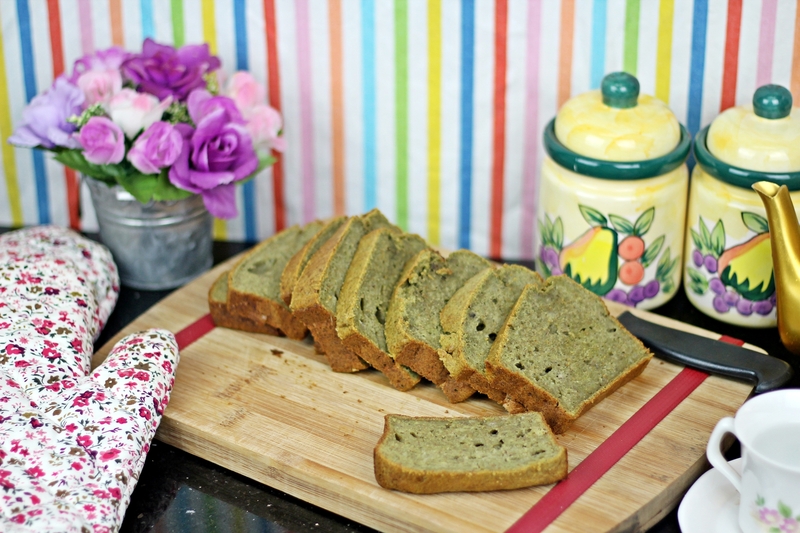 Today, I will show you guys my Sugar-free Banana Bread! Stevia is a natural herb that is really sweet if you have never heard of it before. It has no effect on our blood sugar level which means it is diabetes-friendly and it also has no (zero) calories! Since Stevia have been found in South America, it has been used by the Guaraní people for more than 1500 years! Not only that, Japanese have also used this herb for decades as a sweetener. 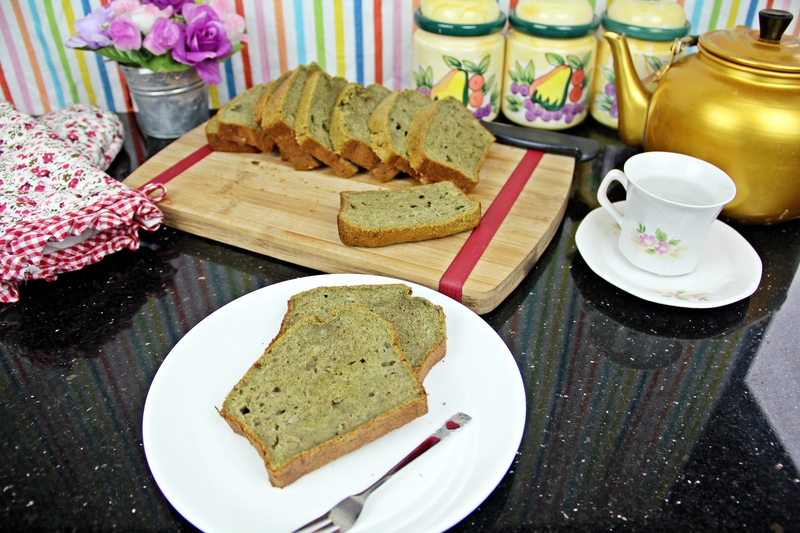 I have been experimenting to make a cake that is sugar-free, yet all naturally sweeten. I have used Stevia for this recipe in the form of grounded dried Stevia leaves. This way, you know that you are getting what you want, as natural as possible, less processed. Of course, though Stevia is sweet, the sweetness is slightly different than refined white sugar. It may have bitter after taste if used excessively. And the sweetness of the leaves will last longer than sugar. For a cup of white sugar, you could replace it with 2 tablespoon of grounded dried Stevia leaves. It goes great in your smoothies, coffee, and tea. However when used in baking, you will need to tweak a little bit as it is not a bulking ingredient like sugar. You could possibly add some extra bulking ingredients like, pureed fruits, unsweetened applesauce, or beaten egg whites. So if you are going to use Stevia for baking, experiment it until you get your desired texture. You could possibly create your own Stevia-sugar blend by combining them if you just wanting to consume less sugar. Your baked goods will more likely to remain unchanged. However, do note that grounded dried Stevia leaves does not dissolve as it is just, grounded dried leaves. They don’t brown at all unlike sugar, and will turn your cake green. In a bowl, whisk together wholemeal, cake flour, and baking powder. Set aside. In a mixing bowl, beat egg whites and vinegar until stiff peaks. In another mixing bowl, cream together unsalted butter and stevia until light and creamy. Drizzle in egg yolks, vanilla extract and banana extract, continue beating until well combined. Stir in dry ingredients and mashed bananas into the mixture. Make sure that you do not overmix. Gently fold in egg whites a half at a time until evenly mixed. Transfer it into a loaf pan that has been greased and lined with parchment paper. Drop the pan to raise large air bubbles. Bake it in the oven for about 45 to 50 minutes. Let it cool in the pan for about 15 minutes and transfer on to the wire rack to further cooling. 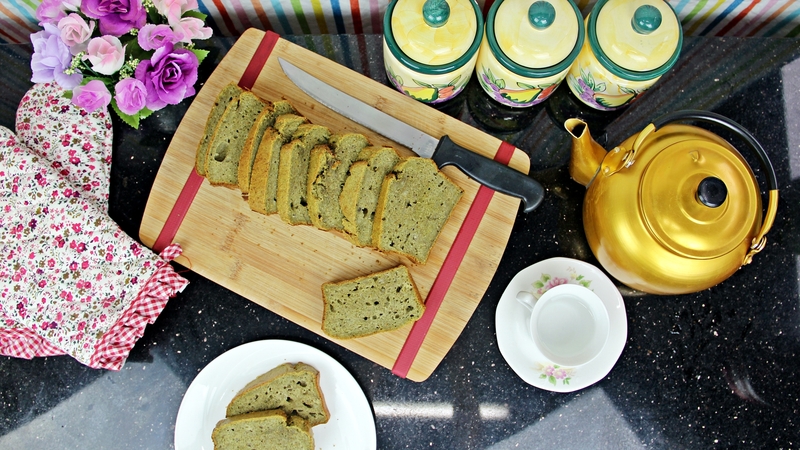 This entry was posted in All Recipes, Sweet Treats and tagged banana, Banana bread, banana bread using stevia, stevia, sugar free on April 26, 2015 by Zong Han Chua.